Dunwoody Dental was founded by Dr. Minta Lopez-Torres and Dr. Amy Mosseri in 2002 after graduating from the University of Florida in 2001. They wanted to build a dental practice in Sanford where they could form relationships with patients and their families, and nurture a gentle and welcoming atmosphere. Dunwoody Dental’s doctors and staff strive to take the entire patient into account and partner with them to maintain a healthy mouth and beautiful smile. Part of that plan means educating the patient so they’re aware of how to maintain oral health at home. See for yourself what some of our clients are saying. Located conveniently close to I4, we have all of the dental [services] you and your family need, as well as the most updated technology and equipment so you can be sure your mouth is in good hands, so [make an appointment] and come by today! 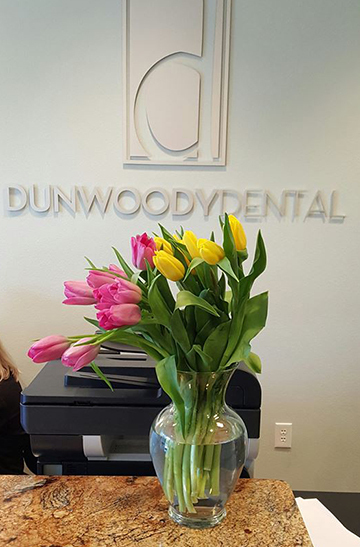 What Makes Dunwoody Dental Different? So whether you need cosmetic procedures or just a routine cleaning, we’ve got you covered! If you’re in the Sanford, Florida area, reach out to make your appointment today! Do you need a routine cleaning, cosmetic surgery, or another dental service? Make an appointment with us today!